any and all of their real estate needs! Being an honest and dedicated real estate professional, Ashok always goes the extra mile for his clients. 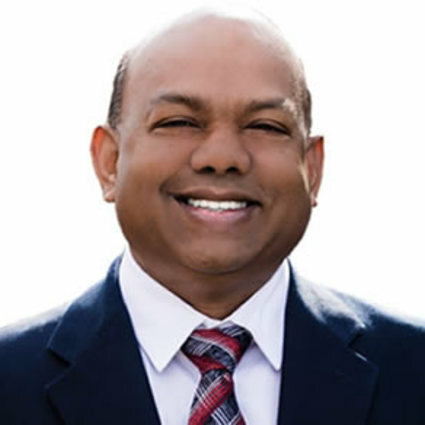 Born in the Fiji Islands and migrating to the United States approximately 27 years ago, Ashok settled in Modesto with his wife and four children and has become a strong leader in his community. Ashok previously worked as a Detective for the Fiji Police Department for 12 years. When he first arrived to the US, he joined the management team at Kingspan Insulated Panels. His professional background includes human relations, and extensive experience in customer service training and consulting. Ashok is very involved in the local community as a volunteer soccer coach, soccer referee, and a board member of Shree Ram Mandir Indian Temple since 2001. Being multi- lingual, speaking Hindi and Fijian, is an additional asset Ashok brings to his clients. If you are looking to buy or sell, contact Ashok to experience a stress-free and successful real estate transaction. He can also provide you with a free comparative market analysis of your property. Make this a Great Day. Call Ashok today.